Member of the arum family with attractive heart shaped leaves in early spring. 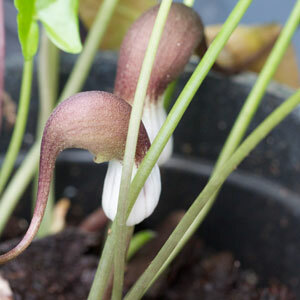 Followed shortly by short spathe flower cream at base of the long tailed pruple brown tips. Viewed from above give the appearence of mouse tails hence common name.